As the protests continue in Québec against the government’s tuition increases and privatization of education, international support grows in solidarity with us to support accessible education. 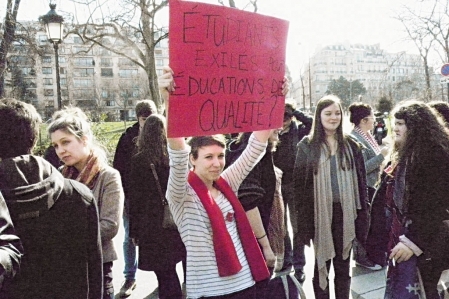 From québécois students in Paris, to the International Student Movement in Taiwan, to Belgian students living in Brussels, the student strike in Québec is getting international attention. 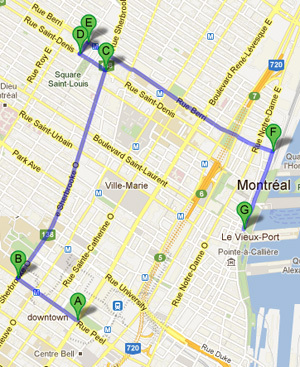 About 60 students protested in Paris on March 10, two days before Jean Charest visited the city. 2012 © Ismaël Fortier-Geymard. 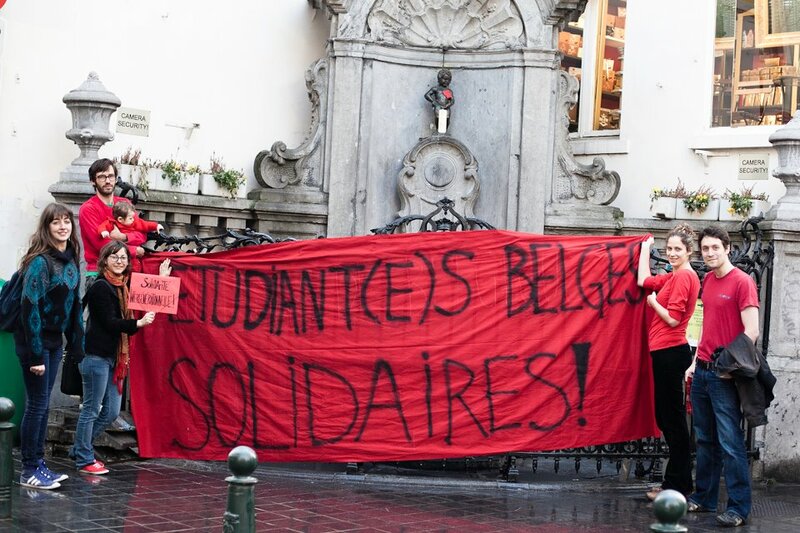 A small group of Belgian students raise a banner in Brussels. 2012 © l'Incroyable Julk. 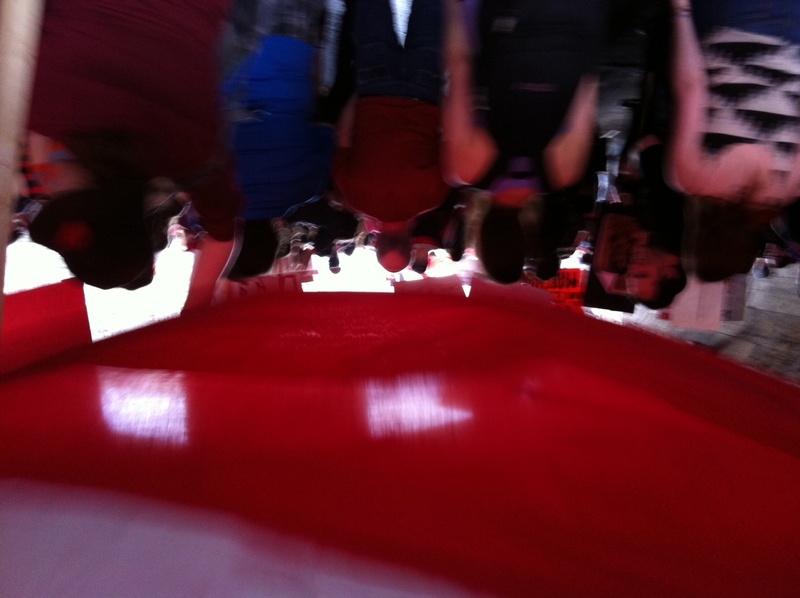 Art Walk/Silent March organized by Katja Philipp, PhD Student, Communication Studies. 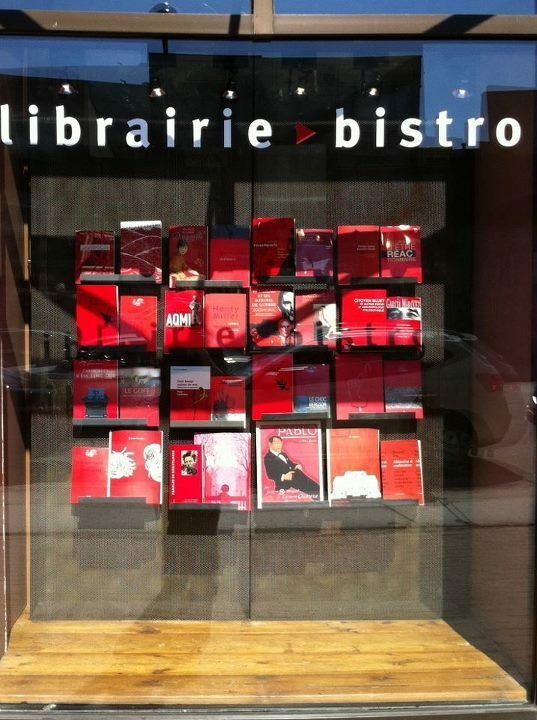 Photo taken on Montréal's rue Sainte-Catherine, Monday, March 26, 2012 by Krista Lynes. In 1978, Adrienne Rich published The Dream of a Common Language, a collection of poems in which she reflected on the relation between love, power and consciousness. The collectivity she referenced here was fictive, hypothetical and utopian—quite literally a dream of a common language. The dream, of complex and emancipatory feminism(s), echoes Gayatri Spivak’s call in Death of a Discipline for a collectivity to come as a result of one’s work, the join of feminist praxis with broad movements for social justice. Both Rich and Spivak sought to stress the work involved in community-building, in spaces of social struggle, but at large also. In this respect, the MA Media Studies Students in the Department of Communication Studies at Concordia University have been working creatively and passionately over the last several weeks to build a complex and emancipatory unity within the student movement. 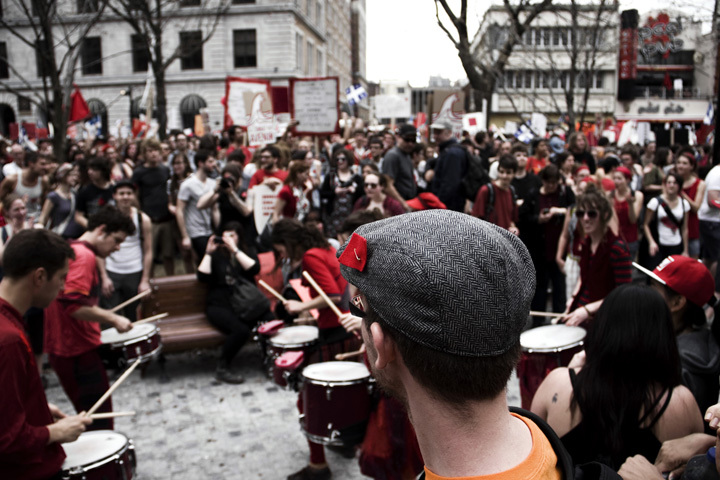 Their statements testify to their nuanced reflections on the differential access to education within the programme, the use of the term ‘strike’ and the historical resonances of the term within labour movements and other forms of collective action, and the need to engage actively with the community at large, faculty and staff. They have also—in their protest, media activism, public statements and organising—sought to give voice to the importance of creativity and diversity in university programmes across Québec and further afield. …. Continue reading the essay at Alt-UniEs: an alternative university, an appeal to unity, a commitment to access …. Last Thursday, more than 300,000 students were on strike, and 200,000 peoples from all walks of life marched in the streets to demonstrate their resolve against tuition increases. The issue is not simply about university funding, it is about the current and profound contemplation about our society and the direction we want to take it. A French-language and official petition to the Québec National Assembly has been initiated requesting that the government withdraw the tuition increases. At the time of writing this blog post, there were more than 37,000 signatories. I encourage everyone who believes in accessible education for all and who is against the privatization of our educational institutions, to sign the petition. We can easily surpass 200,000 signatories! The petition’s text is written below. "For an emancipatory education servicing the people" March 13, 2012 © Eduardo Fuenmayor. Le jeudi 22 mars dernier, il y avait 300 000 étudiants et étudiantes en grève, et 200 000 citoyens et citoyennes dans la rue pour dénoncer la hausse des frais de scolarité. Ce n’est pas simplement la question du financement des universités, mais une profonde réflexion sur notre société qui est en cours. Il ne faut pas laisser les politiciens et les médias décider à leur guise du sens de tous ces événements. Je vous invite, entre autre, à signer cette pétition à l’Assemblée nationale, mais aussi, je vous encourage à ne pas laisser passer cette opportunité unique de réfléchir et de discuter avec les gens autour de vous. Nous, soussignés, demandons au gouvernement du Québec de revenir sur sa décision d’augmenter les frais de scolarité de 1625 $ entre 2012 et 2017. The following text was compiled by L’Association des juristes progressistes (AJP) in response to the administration of several universities that have sent notices to their students that falsely allege that the concept of strike is limited to workers under the labour code. This is false and the following text explains this fallacy with clarity and precision. The AJP was founded in 2010 and is an organization of lawyers, law students and workers from the legal system, dedicated to defending rights and putting the judicial to task in order to assist the struggle for social justice and end inequality. 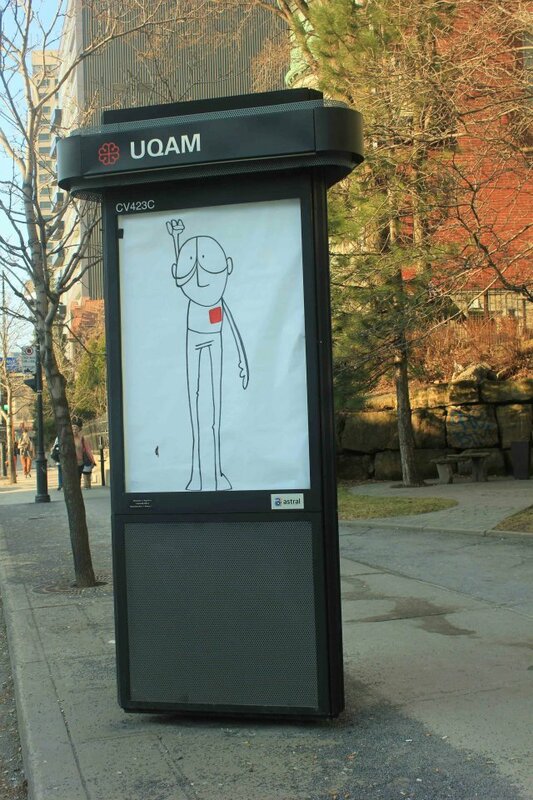 Whereas the number of strikers against the tuition hike has surpassed 290 000 across the province (if we include the strike on March 22nd 2012), it is important to note that the management of certain universities, like McGill, Concordia and Université de Montréal, are sending notices to their students in which they allege that the concept of strike is limited to workers under the Labour Code (R.S.Q., chapter C-27). Consequently, they qualify the movement as being a simple boycott and allege that professors should give the classes despite the strike votes taken by the student associations and threaten students with academic reprisals in case of absence or omission to give in papers. Beyond constituting a political intimidation tactic that comes from parties that are far from being neutral in this debate (it is important de remember that the Conférence des recteurs et des principaux des universités du Québec is a staunch supporter of the hikes), this directive is based on important historical errors and is contrary to the spirit, if not the letter of theCanadian Charter of Rights and Freedoms (The Constitution Act, 1982, Schedule B to the Canada Act 1982 (UK), 1982, c 11) as well as Charter of human rights and freedoms, (RSQ, c C-12). Firstly, it is important to note that the right to strike was not created by the Labour Code. It existed long before the enactment of this law as it originates from the working-class struggles of the 19th century. An international phenomenon of contestation, the right to strike was elevated to the rank of fundamental rights on an international scale through its recognition in the International Covenant on Economic, Social and Cultural Rights, dating from 1966, which was ratified by Canada. A growing number of university professors in Québec are joining the protest movement against the government’s funding plan for higher education. The letter below is signed by more than 270 Concordia University Professors. Many McGill University, HEC Montréal and Université de Montréal professors have also added their names to the letter open letter. Professeurs contre la hausse have also written a manifesto that so far has more than 2100 signatories. 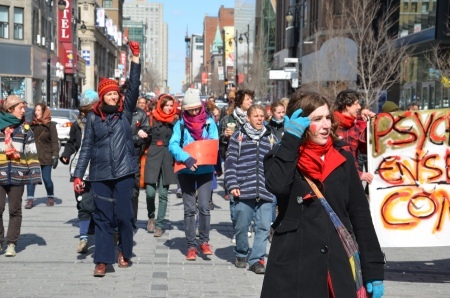 Students, professors, parents and their children walk eastward on Ste-Catherine street on the Sunday, March 18 family march against tuition hikes and in support of accessible education. Photo 2012 by David Widgington. Add your name to the below letter. 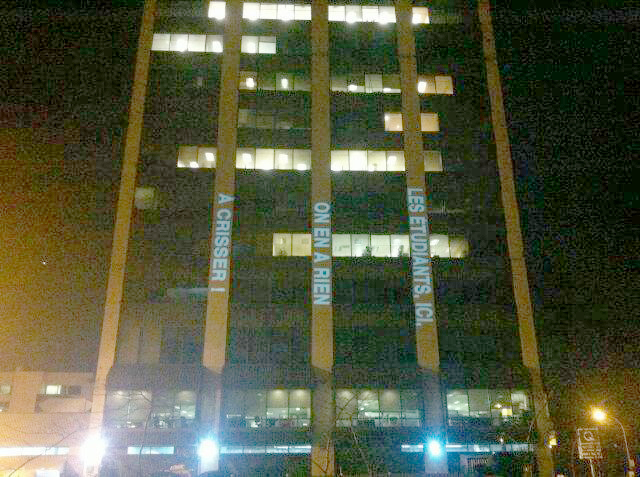 The efforts of the Charest government to privatize university funding in Quebec have sparked widespread protests. 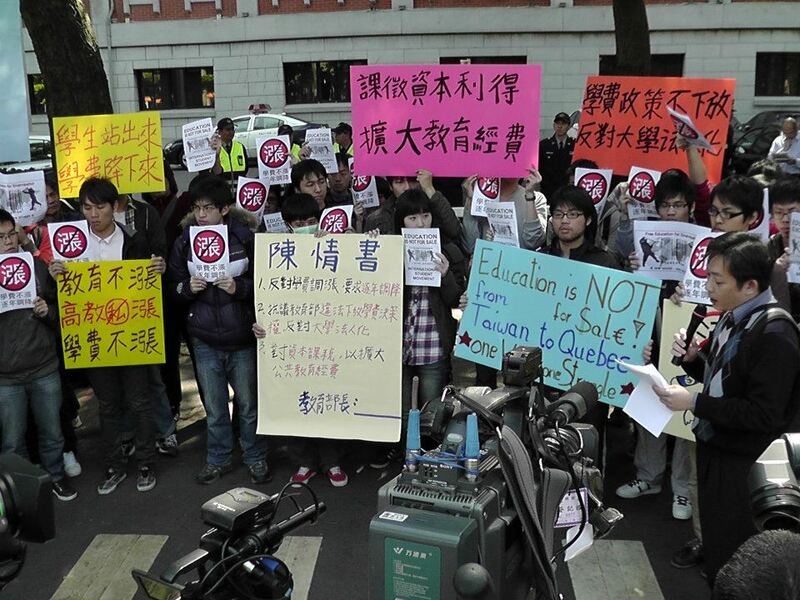 180,000 students are on strike across the province. Classroom teaching has ground to a halt at many CEGEPs and universities across Quebec, including the University of Montreal, University of Quebec at Montreal, and much of Concordia University. Students are at the forefront of an important struggle over public education and its role in Quebec society. As professors at Concordia, we join our voices to those of our students. We call on the Quebec government to revisit the university funding plan and rescind the measures that would further privatize our universities through tuition hikes and increased reliance on corporate funding of research. Historically, Quebec universities have been funded by the public on the grounds that society is enriched as a result. With public funding, tuition fees have remained low and higher education has remained accessible. Under Quebec’s educational social contract, university graduates who achieve success in the labour market keep university costs low for the next generation through their tax dollars. This arrangement is a crucial part of maintaining a more equitable society in which people have access to health care and education no matter what their income is. This is what the student movement is fighting to defend today. 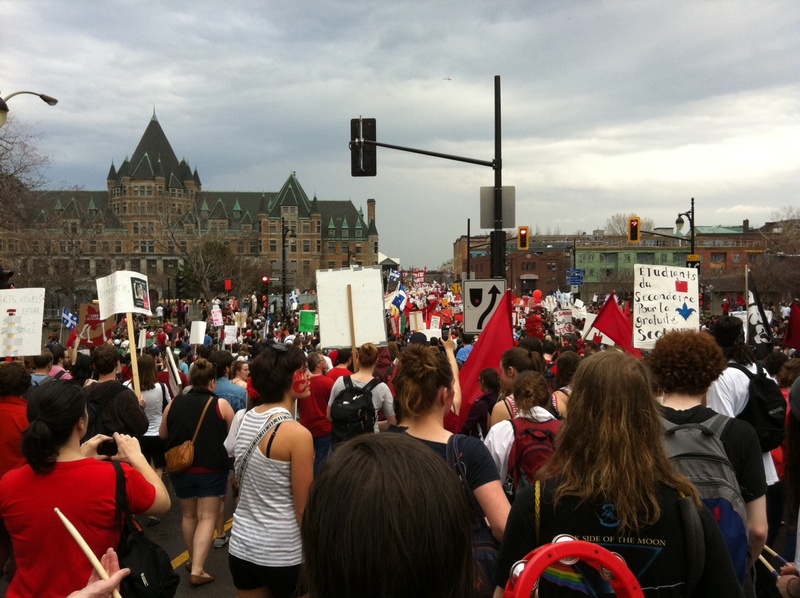 Yesterday, over 200,000 students, parents, faculty members and citizens marched peacefully in the streets of Montreal against the Charest government’s unjust and unjustifiable tuition fee increase. After students successfully orchestrated the largest demonstration in the province’s history, it appears that some university administrators have resorted to extreme and heavy-handed intimidation tactics in an attempt to quell student unrest. 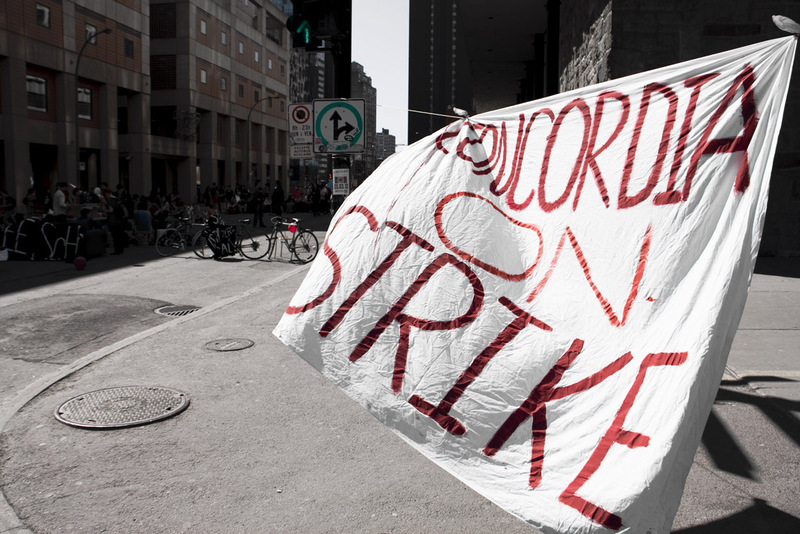 Today, Concordia University has taken a dangerous and irresponsible step by stating that it will begin to systematically charge students who actively participate in the student strike at Concordia under the University’s Code of Rights and Responsibilities. Consequences for students charged under the Code include fines, suspension, and the possibility of permanent expulsion. The statement sent out by the University today intentionally mischaracterizes the nature of student action at the University by painting picketing students as aggressive or dangerous. 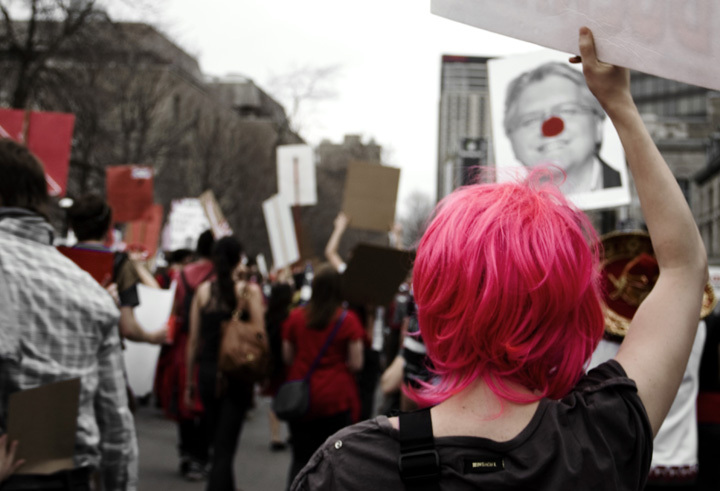 In reality, protest on campus has been consistently characterized by its lighthearted, peaceful, and creative nature, with very few incidents in these politically turbulent times. The University’s statement is deliberately calculated to intimidate students through vague references to “impeding,” “blocking,” or “obstruction” of university spaces. Students have been informed repeatedly that crossing a picket line is a moral decision, and discouraged from doing so, but it is an extremely small minority of students who have been actually physically blocked from classrooms. The GSA and CSU anticipate that hundreds of innocent students could be charged within a week under this policy. 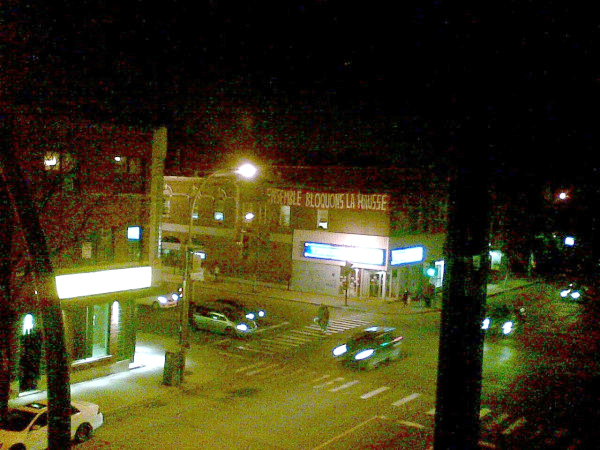 The position taken by Concordia University on this issue is dangerous to students. The Office of Rights and Responsibilities deals with a variety of extremely serious complaints regarding behaviour on campus, including harassment, sexual assault, abuse and other potentially criminal activity. A flood of complaints about peaceful student demonstrations will invariably mean that legitimate and serious complaints by victims are delayed or pushed aside. As always, the CSU and GSA will do our utmost to defend any student charged under the Code, and if necessary we will hire additional staff to deal with any backlog in our respective Advocacy Centres. These intimidation tactics and heavy-handed crackdowns from the University mean the strike is increasingly effective. Students and their associations will not back down from their legitimate position in favour of accessible education and their collective right to strike. However, both the CSU and GSA will hold the administration responsible for escalating what has so far been a relatively calm, democratic and orderly situation. After wasting tens of millions of dollars of public and student money on golden parachutes and incompetent management, Concordia’s administration has no moral authority to claim that the democratic will of student assemblies is illegitimate. “As a faculty member, I feel that this approach by the administration is counterproductive,” said Eric Shragge, Associate Professor and Principal of the Concordia School of Community and Public Affairs. “If they wish to resolve the situation they should be using their influence with the provincial government to encourage them to negotiate with student groups.” A recent poll by Crop shows that 78% of Quebec citizens want the government to begin to negotiate with students on the tuition fee increase. Could the sheer volume of the combined sounds emanating from the crowd produce a sonic intensity so affecting as to stimulate a change in discourse?